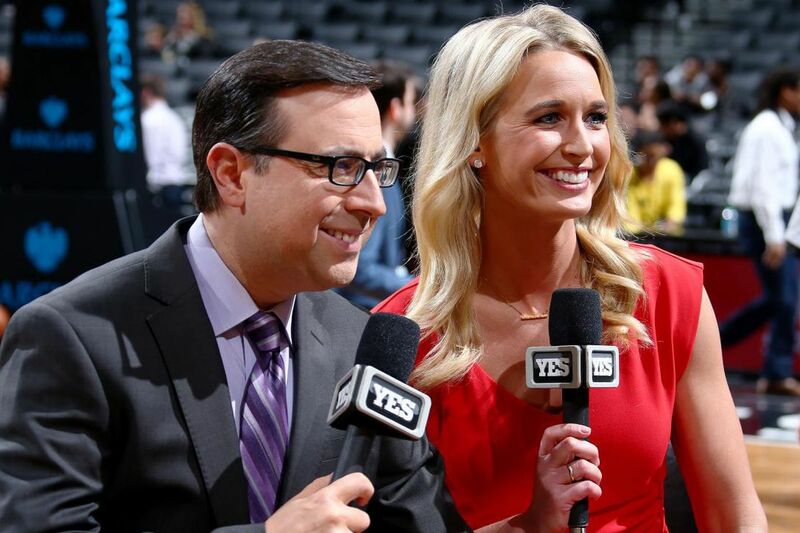 Sports Business Journal reports that ratings for Nets broadcasts on YES are up 12 percent so far this season. And that’s coming off an 11 percent increase in 2017-18. Moreover, the ratings gap between Nets broadcasts on YES are just short of half of what the Knicks are getting on MSG. New York’s ratings are down 41 percent, reports SBJ. In past years, the Knicks numbers were six times the Nets numbers. Specifically, the Nets .47 rating this season compares to the Knicks 1.06 number. While the Knicks are still the leader in the New York area, the gap has closed as the Knicks have been at or near the bottom of the NBA standings all year. The only team that saw its numbers drop more precipitously than the Knicks was, not surprisingly, the Cavaliers who lost LeBron James. The Nets on YES also no longer have the worst local TV ratings in the NBA. The Magic currently score a .44 rating in the Orlando-Daytona Beach-Melbourne market. The gap in viewers of course is much bigger. A rating of .47 in New York, with its 7.1 million TV households, amounts to an average audience of around 33,000. A rating of .44 in Orlando, with only 1.6 million households, amounts to an audience of fewer than 7,000. In fact, the Nets audience is much larger than many of the NBA’s teams. SBJ reports that the Warriors, no surprise, have the highest local TV rating at 7.43, followed by the Thunder, Jazz, Spurs and Pacers. The biggest jump in ratings, also no surprise, belongs to the Nuggets who are up 85 percent. Ourand and Lombardo also note that local ratings “mirror” a national trend that has seen declining numbers for NBA national broadcasts so far this season. National games are down 18 percent on TNT and 17 percent on NBA TV. ABC is down 3 percent, and ESPN is flat, the two note. Also, this year’s All-Star game had an 11 percent drop in national TV ratings.